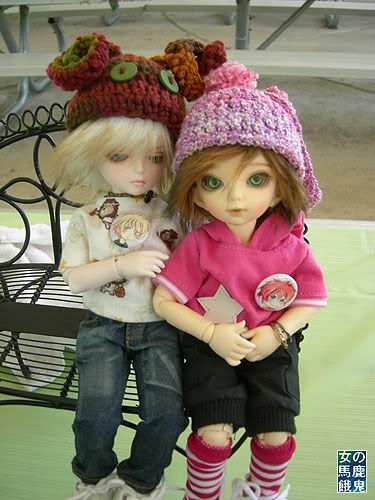 Photo of Ki and Chi at the Easter Meetup, wearing their mutant bunny hats I crocheted for them. Those are *such* cute hats. Thanks, skada! I had fun making them! Thank you! It's fun to start working on a hat and see where it leads me.